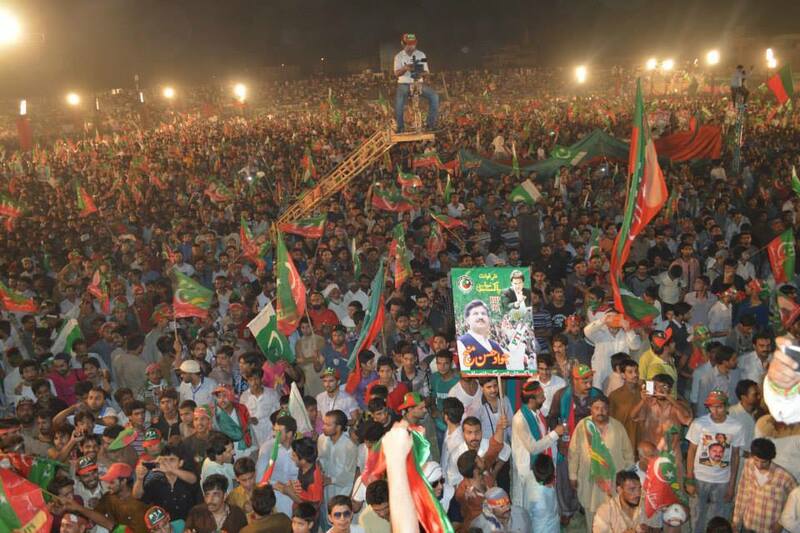 With every successive jalsa of PTI the zeal, enthusiasm and vigor of the people is increasing. Those who thought that people will forget about election rigging as a thing of the past, should open their eyes and see reality on ground. There is s general awareness among the masses that without fair & free elections a true democracy is not possible, and without true democracy a nation cannot progress. People are no more satisfied with the spate of so-called development works of the Noon govt like metro buses and metro trains. People want their life, property and honor to be protected. They are an eye witness to the gruesome condition of lawlessness in Punjab and how Punjab police is playing havoc with the lives of poor people. People are feeling that unless the curse of two-family political system is replaced with true democracy, their plight will see no positive change. People are getting astonished to know the blatant and sophisticated methods being applied by the authorities to hijack their mandate. With every constituency that is being opened / scrutinized the mind boggling methods of rigging are surfacing, thereby casting deep doubts on the legitimacy of the sitting rulers. But unfortunately the govt is turning a blind eye towards these facts, on the hope that public protest of PTI will fizzle out soon. Sadly for them the realities on ground are quite contrary to their expectations. 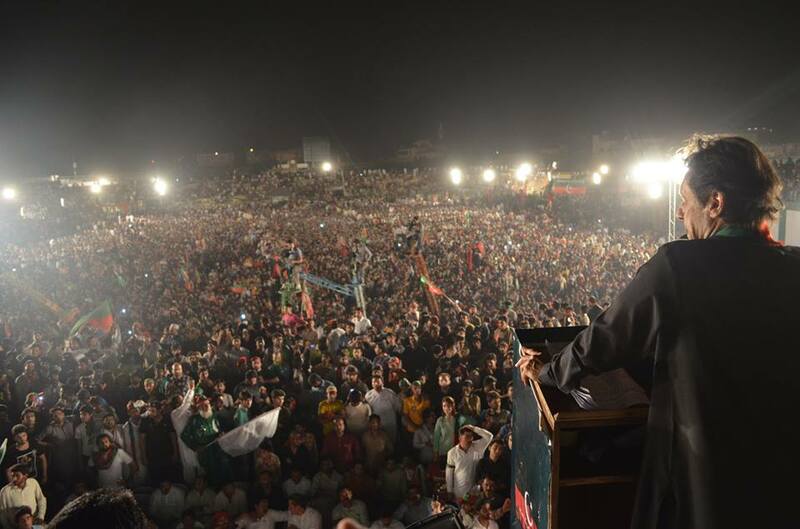 This entry was posted in Politics and tagged Election Rigging, Fair and Free Elections, Imran Khan, PTI, Public Protests on June 8, 2014 by akhterhayatmalik. 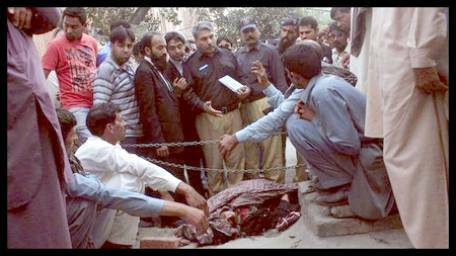 A 25 years old pregnant woman has been stoned to death by her own family members in Lahore High Court in the presence of police. This brutal scene is not from tribal area, nor the criminals are TTP terrorists or religious extremists. This tragedy has happened in the heart of Pakistan, Lahore, and in the reign of Shahbaz Shareef, who is portrayed as a hard task master and a Khadim e Aala. Punjab is a province where Noon league is in the govt over the past many decades. Though law & order is a grave problem everywhere in Pakistan but Punjab is the worst, given the situational dynamics. It is a pity that this aspect has not been given due attention by Noon. This brutal act is not the only event, it is the latest in the series of events that occur so frequently here. Acid throwing, letting the dogs loose on poor victims, kidnapping, murders in the name of honor, and so many other forms of other crimes are a common feature in Punjab. Police has lost its entity as a law enforcing agency and rather safeguards the interests of the powerful. Not a single criminal has been punished in the recent past. 1. A crime is committed. The victim goes to Police for FIR. 2. The victim is kicked out bu Police and the criminals are honored in the police station. 3. The news is leaked out on media and some TV channel broadcasts the news. 4. Our Khadim e Aala wakes up and takes notice. 5. CM goes to house of victim’s family, shows solidarity, announces some monetary compensation and asks police to arrest the culprits. Senior police officers at the occasion are admonished by CM who keep listening with their heads down. The artificiality of all this drama is clearly visible to a keen eye. 6. The culprits are arrested, given VIP protocol by police and a nominal FIR is registered. 7. The victim family is pressurized by the notable people who have links with govt and with the criminals alike. 8. In most of the cases a compromise between the victim family and the criminals takes place before the case goes to the court. The criminals are set free to commit fresh crimes. 9. If at all the case goes to court the lengthy and expensive legal procedures, insecurity of the witnesses, coupled with constant threats from powerful criminals, sooner or later compel the victim party to surrender the case. This vicious cycle goes on and on and have no chances of any improvement at least in the present setup. This entry was posted in Politics and tagged Honor Murders, Lawlessness, PML-N, Punjab Police on June 1, 2014 by akhterhayatmalik.